Our practical legal training (PLT) can help you to develop the capability and confidence you will need to meet the challenges of professional practice. You have the assurance that we have been providing PLT to LLB graduates like you for 40 years and we use that experience to constantly improve what our programs offer you. We are one of the few Australian PLT providers who will find you the law office placement you will need to satisfy course and professional admission requirements. If you are working in legal workplace while you are completing our course, or you have recent legal workplace experience, you may be eligible for credit for placement and for our ‘Interaction’ unit – please ask us for details. You will have the flexibility of being able to complete your PLT as a full-time online student, a part-time online student or as a full time on-campus student. All our students attend a 5 day attendance school that we run in Brisbane. We're Brisbane's only university to offer you practical legal training. The Graduate Diploma in Legal Practice provides you with the practical legal training (PLT) that you need for admission to the legal profession in Australia. The course will equip you with the knowledge and practical skills you'll need to meet the challenges of modern real-life legal practice. Learn by doing the tasks that lawyers do in real life, with the support of staff who have practised law as solicitors or barristers. Get hands-on experience as part of your course with a 4-week placement in a law office. You can start QUT's Graduate Diploma in Legal Practice with two units of study left in your undergraduate law degree with the permission of the Legal Practitioners Admissions Board. Neither of these can be 'Priestley' units. Contact us to find out more about Priestley units and obtaining the Board's permission. carry out the steps in property, litigation and commercial transactions and proceedings. You can study two elective modules from a choice of criminal, administrative, family law practice, wills and estates, planning and environment, employment and industrial relations, consumer law and banking and finance. We do not have exams. Our assessment reflects the tasks that lawyers do in real-life.Throughout the course you'll build a portfolio of practical know-how and our time management and productivity resources will help you to deal with the challenges of real-life legal practice. We arrange your four-week work placement (unless you are eligible for credit because you work in a legal office in private practice, government, the community sector or in-house). Our employment register is also available to assist you in your search for end-of-course employment. We offer our full-time program on-campus and external (online). We offer part-time programs online. International students may only enrol in full-time courses on campus. The part-time course consists of five attendance days with the remainder of the course online (LPP117 Interaction and some elective choices involve a one-day attendance requirement either on campus or by video link). If you're already working in a private or government law office you may be eligible to enrol in the part-time (in-practice) mode, and to apply for credit for the work placement unit and LPP117 Interaction. Upon completion of practical legal training, graduates can apply for admission to the Australian legal profession and may become eligible to apply for the restricted 'employee' practising certificate (solicitors) once you have gained employment in a law firm. To obtain an unrestricted practising certificate (law firm principal), legal practitioners then complete supervised legal practice (two years) and the Law Society Practice Management Course. Admitted lawyers who wish to practise as barristers in Queensland then complete a bar practice exams and the bar practice course to obtain the barrister's practising certificate (barristers). The course is approved by the Queensland Legal Practitioners Admissions Board as satisfying the practical legal training requirements for admission to the legal profession in Queensland. January and July for full-time, on campus; January, February, July and August for full-time and part-time external. You have the permission of the Queensland Legal Practitioners Admissions Board to commence the Graduate Diploma in Legal Practice while you complete those units. Applicants with overseas qualifications need to apply to the Legal Practitioners Admissions Board (LPAB) (Queensland) prior to QUT making its assessment. Students need to submit the LPAB letter to QUT. 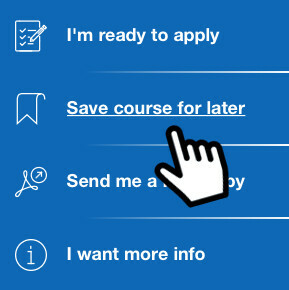 Information on how to apply is available on the 'How to apply as a postgraduate coursework student' page. A recognised completed bachelor degree, higher award or equivalent study in law, which is approved for admission to the Australian legal profession. Applicants with law degrees completed overseas will need to have their degree assessed by the Legal Practitioners Admission Board (LPAB) in Queensland before applying to QUT. Please refer to the instructions on the Queensland Law Society website. The LPAB will assess your qualification and provide you a letter outlining the law undergraduate/Priestly 11 units you must study prior to commencing LP41 Graduate Diploma in Legal Practice. You must include this letter with your application to study at QUT. International students wishing to study in Australia, will receive a package offer with U096 International Transfer Year or U084 International Transfer Semester depending on the number of units the LPAB has identified you must study.